Congatulations to Terry Partidge as he picked up some winners trophies for buses he had entered into the bus rally this past weekend. 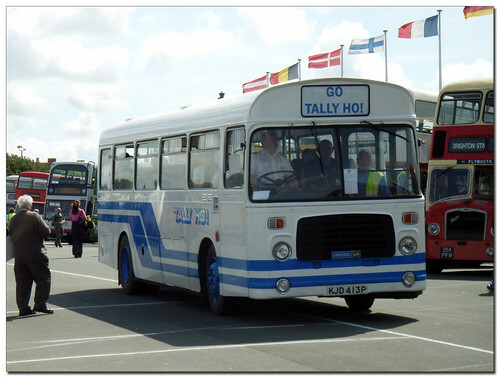 A well deserved best in class for Tally Ho KJD413P which was the last of the famous batch of Bristol LH buses operated for many years by Tally Ho. These were of course ex London Transport, but didnt stay in the Capital City for long, with many of them ending up in the South Hams where they served for a lot longer than they did with London Transport.